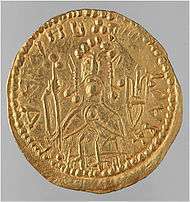 The Rurik dynasty or Rurikids (Russian: Рю́риковичи, Ukrainian: Рю́риковичі, Belarusian: Ру́рыкавічы) was a dynasty founded by the Varangian prince Rurik, who established himself in Novgorod around the year AD 862. The Rurikids were the ruling dynasty of Kievan Rus' (after 862), as well as the successor principalities of Galicia-Volhynia (after 1199), Chernigov, Vladimir-Suzdal, and the Grand Duchy of Moscow, and the founders of the Tsardom of Russia. They ruled until 1598 and the Time of Troubles, following which they were succeeded by the Romanovs. They are one of Europe's oldest royal houses, with numerous existing cadet branches. As a ruling dynasty, the Rurik dynasty held its own in some part of Russia for a total of twenty-one generations in male-line succession, from Rurik (died 879) to Feodor I of Russia (died 1598), a period of more than 700 years. Rurik and his brothers founded a state that later historians called Kievan Rus'. By the middle of the twelfth century, Kievan Rus' had dissolved into independent principalities, each ruled by different branches of the Rurik dynasty. The dynasty followed agnatic seniority and the izgoi principle. The Rurik dynasty underwent a major schism after the death of Yaroslav the Wise in 1054, dividing into three branches on the basis of descent from three successive ruling Grand Princes: Izyaslav (1024-1078), Svyatoslav (1027-1076), and Vsevolod (1030-1093). In addition, a line of Polotsk princes assimilated themselves with the princes of Lithuania. 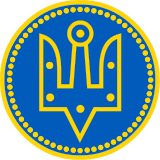 In the 10th century the Council of Liubech made some amendments to a succession rule and divided Ruthenia into several autonomous principalities that had equal rights to obtain the Kiev throne. Vsevolod's line eventually became better known as the Monomakhovychi and was the predominant one. The line of Svyatoslav later became known as Olegovychi and often laid claim to the lands of Chernihiv and Severia. 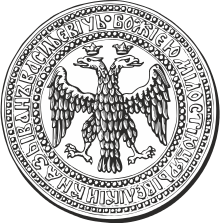 The Izyaslavychi who ruled Turov and Volhynia were eventually replaced by a Monomakhovychi branch. 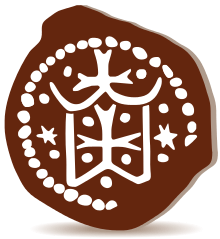 "The Rurikid dynasty… attempted to impose on their highly diverse polity the integrative concept of russkaia zemlia ("the Rus' land") and the unifying notion of a "Rus' people". But "Kievan Rus' was never really a unified polity. It was a loosely bound, ill-defined, and heterogeneous conglomeration of lands and cities inhabited by tribes and populous groups whose loyalties were primarily territorial." This caused the Rurik dynasty to effectively dissolve into several sub-dynasties ruling smaller states in the 10th and 11th centuries. These were the Olgoviches of Severia who ruled in Chernigov, Yuryeviches who controlled Vladimir-Suzdal, and Romanoviches in Galicia-Volhynia. The Olgoviches descended from Oleg I of Chernigov, a son of Sviatoslav II of Kiev and grandson of Yaroslav the Wise. They continued to rule until the early 14th century when they were torn apart by the emerging Grand Duchy of Lithuania and Grand Duchy of Moscow. 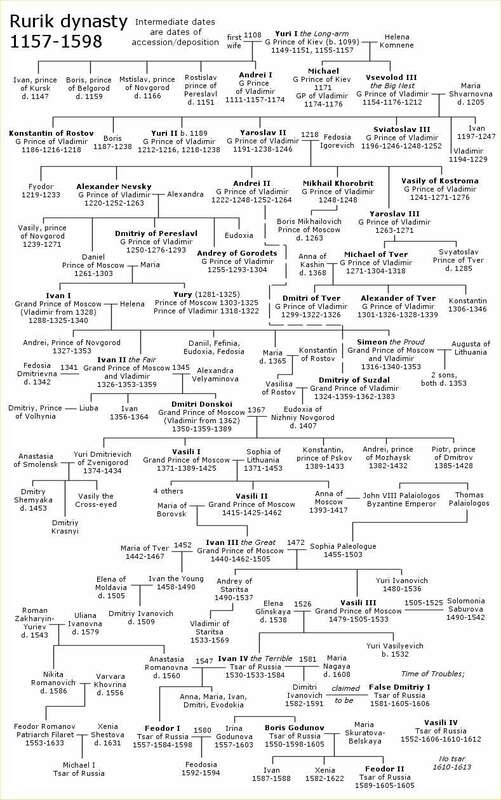 The line continued through Oleg's son Vsevolod II of Kiev, grandson Sviatoslav III of Kiev, great-grandson Vsevolod IV of Kiev and great-great grandson Michael of Chernigov, from whose sons the extant lines of the Olegoviches are descended, including the Massalsky, Gorchakov, Baryatinsky, Volkonsky and Obolensky, including Repnin. Vsevolod I of Kiev was the father of Vladimir II Monomakh, giving rise to the name Monomakh for his progeny. Two of Vladimir II's sons were Mstislav I of Kiev and Yuri Dolgorukiy. The Romanoviches were the line of Roman the Great, descended from Mstislav I of Kiev through his son Iziaslav II of Kiev and his grandson Mstislav II of Kiev, father of Roman the Great. The older Monomakhovychi line that ruled Principality of Volhynia, they were eventually crowned kings of Galicia and Volhynia and ruled until 1323. Romanovychi displaced the older line of Izyaslavychi from Turov and Volhynia as well as Rostyslavychi from Galicia. The last were two brothers of Romanovychi, Andrew and Lev II, who ruled jointly and were slain trying to repel Mongol incursions. The Polish king, Władysław I the Elbow-high, in his letter to the Pope wrote with regret: "The two last Ruthenian kings, that had been firm shields for Poland from the Tatars, left this world and after their death Poland is directly under Tatar threat." Losing their leadership role, Rurikids, however, continued to play a vital role in the Grand Duchy of Lithuania and the later Polish-Lithuanian Commonwealth. Most notably, the Ostrogski family held the title of Grand Hetman of Lithuania and strove to preserve the Ruthenian language and Eastern Orthodoxy in this part of Europe. It is thought that the Drutsk and related princely families may also descend from Roman the Great. The Rostislaviches were the line of Rostislav I of Kiev, another son of Mstislav I of Kiev, who was Prince of Smolensk and a progenitor of the lines descending from the princes of Smolensk and Yaroslavl. The Yuryeviches were founded by Yuriy Dolgorukiy, the founder of Moscow and spread vastly in the north-east. 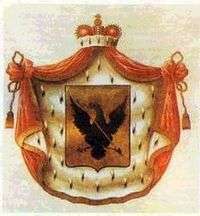 Yuri's son Vsevolod the Big Nest was Prince of Vladimir-Suzdal, a precursor state to the Grand Principality of Moscow and thus of the Russian Empire. Vsevolod's son Konstantin of Rostov was Prince of Rostov and the progenitor of various "Rostov" princely lines. Another son, Ivan Vsevolodich, was Prince of Starodub and progenitor of a number of extant lines, most notably the Gagarin line. Vsevolod's son Yaroslav II of Vladimir was the father of Alexander Nevsky, whose son Daniel of Moscow sired the ruling house of Moscow until the end of the 16th century. Historian Vasily Tatishchev and filmmaker Jacques Tati also descended from Rurik. In the early days of the Rurikid dynasty, the Kievan Rus' mainly traded with other tribes in Eastern Europe and Scandinavia. "There was little need for complex social structures to carry out these exchanges in the forests north of the steppes. So long as the entrepreneurs operated in small numbers and kept to the north, they did not catch the attention of observers or writers." The Rus' also had strong trading ties to Byzantium, particularly in the early 900's, as treaties in 911 and 944 indicate. These treaties deal with the treatment of runaway Byzantine slaves and limitations on the amounts of certain commodities such as silk that could be bought from Byzantium. The Rus' used log rafts floated down the Dnieper River by Slavic tribes for the transport of goods, particularly slaves to Byzantium. One of the largest military accomplishments of the Rurikid dynasty was the attack on Byzantium in 960. Pilgrims of the Rus' had been making the journey from Kiev to Constantinople for many years, and Constantine Porphyrogenitus, the Emperor of the Byzantine Empire, believed that this gave them significant information about the arduous parts of the journey and where travelers were most at risk, as would be pertinent for an invasion. This route took travelers through domain of the Pechenegs, journeying mostly by river. In June 941, the Rus' staged a naval ambush on Byzantine forces, making up for their smaller numbers with small, maneuverable boats. Interestingly, these boats were ill-equipped for the transportation of large quantities of treasure, suggesting that looting was not the goal. The raid was led, according to the Primary Chronicle, by a king called Igor. Three years later, the treaty of 944 stated that all ships approaching Byzantium must be preceded by a letter from the Rurikid prince stating the number of ships and assuring their peaceful intent. This not only indicates fear of another surprise attack, but an increased Kievan presence in the Black Sea. Russian and Ukrainian historians have debated for many years about the legacy of the Rurikid dynasty. The Russian view sees the Principality of Moscow as the sole heir to the Kievan Rus' civilization, this view is "resting largely on religious-ecclesiastical and historical-ideological claims". This view started in Moscow between the 1330's and the late 1850's. 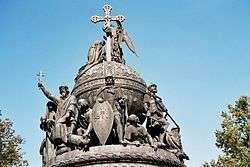 The Ukrainian view was formulated somewhat later between the 1840's and the end of the 1930's and views the Ukrainian descendants of the Rurikid dynasty as its only true successors. The Soviet theory "allotted equal rights to the Kievan inheritance to the Three Slavic peoples, that is the Russians, the Ukrainians, and the Belorussians." According to the FamilyTreeDNA Rurikid Dynasty DNA Project, Rurik appears to have belonged to Y-DNA haplogroup N1c1, based on testing of his modern male line descendants. Further genetic studies seem to indicate the existence of two major haplogroups among modern Rurikids: the descendants of Vladimir II Monomakh (Monomakhoviches) and some others are of N1c1 group (130 people or 68%), while the descendants of a junior prince from the branch of Oleg I of Chernigov (Olgoviches) and some others (total 45 peoples or 24%) are of R1a and R1b haplogroups (typical for Slavic, Germanic, Nordic, Finnish, Baltic and Celtic peoples). From Vladimir the great to Yuri I "Long-arm"
Yuri I "Dolgorukiy", ie. 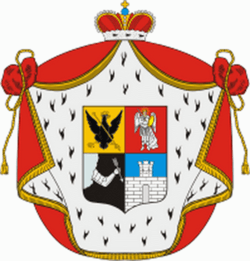 Yuri "long-arm"
The Obolensky – Repnin coat of arms is composed of the emblems of Kiev and Chernigov. 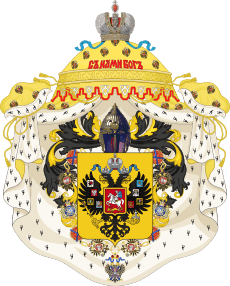 ↑ "Byloe Rossii" [Ancestry of Catherine II the Great, Russian Empress 1729-1796: Descent from Rurik (ca 835-879), Prince of Novgorod] (in Russian). The Past of Russia. Retrieved 2014-05-07. Wikimedia Commons has media related to Rurik Dynasty.